• Do you want to adopt a healthier lifestyle for the new year? • Would you like to be more active physically? • Make those wishes a reality! Reach your goal at the new Kinesiology Clinic of McGill’s Department of Kinesiology and Physical Education (Currie Gym, 475 Pine Avenue West). Let the people from kinesiology help you, and you will help the students get experience through their practicum. 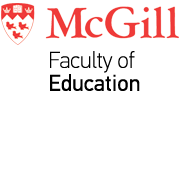 Special fees for McGill community members. Come and start the new year on the right foot! Why not use your lunchtimes to get exercise training in your day? Under the guidance of Kinesiology students, develop and maintain your cardiovascular health and muscular strength during your lunchtime (11-week program, Mondays and Wednesdays, from 12:00-12:50) After an initial health interview and fitness assessment, you will train twice a week for 8 weeks, after which you will be provided with another fitness assessment to see how much you have improved! Running from January 29th to April 9th 2018. Maximum of 6 people per session. Six weekly 1 hour individual meetings with a Kinesiology graduate students to develop strategies aimed at gaining and maintaining healthy lifestyle habits through physical activity. Running from February 12th to April 3rd 2018. Possibility to add a fitness assessment (additional 25$). a) Office Ergonomics: Wondering if your computer workstation is properly set up and if you have healthy office work habits? Get your workstation assessed and get tips to improve your immediate office environment. Running from January 22nd to February 9th 2018.
b) Full Ergonomics assessment: Does your job involve some lifting, pushing, or repetitive movements? Every wonder what you can do to avoid developing work-related injuries? We are ready to conduct a full assessment and show you how you can work more safely and healthily. Do you wonder if your running is on the right track? We will go through your training background and injury history, check your running shoes and assess your running technique. From there, we will give you tips to improve your running and potentially diminish your injury risk. c) Specialized assessment service available upon request. Appointments are on Tuesdays and Thursdays. Plan two hours in your schedule for this service. Contact us to book an appointment (info below). Please indicate the package(s) that you are interested in, in the email subject header.